Why did you choose to pursue this course? When I was a young boy I hated being ill. I know no one loves to get sick, but I was particularly affected by it as I was unable to go out and play or eat my favourite food. Plus, I have always been fascinated by science – biology, in particular: how our bodies work and why they work this way. So, whenever I got sick, I wondered (bitterly) why people fall sick and show symptoms like fever and a runny nose. I started to read and learn about the bacteria that cause disease, and to become even more intrigued by how such a microscopic organism can be so potentially deadly. But, it was only when I started my diploma course at Ngee Ann Polytechnic, that I got my first look at the multitude of bacterial shapes that, to paraphrase Mr H.G. Wells, “a man with a microscope might scrutinise [as they] swarm and multiply in a drop of water.” Smaller than we can see, these different strains of bacteria live together, communicating with each other to survive – and I understood that there is a whole new world of biology “down there”. At that moment, I knew what I wanted to do as a career. How did you hear about University of Dundee and its course? In the final year of my Diploma in Singapore, I was thinking about the many options for degree studies after I graduated from polytechnic. So, when Dr Linda Morris from the University of Dundee gave a talk, during our life science seminar series, about studying in Dundee and the research done at the university, I realised what a really beautiful place Dundee is, and that the university there is one of the top places for biological research. What is the best thing about studying at University of Dundee? The lecturers and professors are really passionate about what they do, and the lecture materials are always up to date with the most recent research publications. The faculty invariably reply to emails promptly and take student feedback very seriously. With weekly meetings between the university and the student representatives, we were able to address any concerns we had so that appropriate measures could be taken. Not only do such processes benefit current students, but future students too! What has been the most interesting aspect of your learning journey? Studying at the University of Dundee allowed me to interact with people from all over the world. I met and befriended students from Germany, Spain, Brazil, Canada, China – and learned about their different cultures and customs. What advice do you have for students who wish to pursue a similar course? It is important to both study hard and play hard; so explore Dundee, but also travel to different European countries during the holidays. A quick trip to “the Continent” is much easier from your university home in Britain than from your family home in Singapore! Study with my alma mater, and live life to the fullest whilst you study the science of life with the best! Jun Jie met us in 2013. In addition to helping him with his research of the University of Dundee and the city of Dundee, we assisted him with his university application and personal statement. 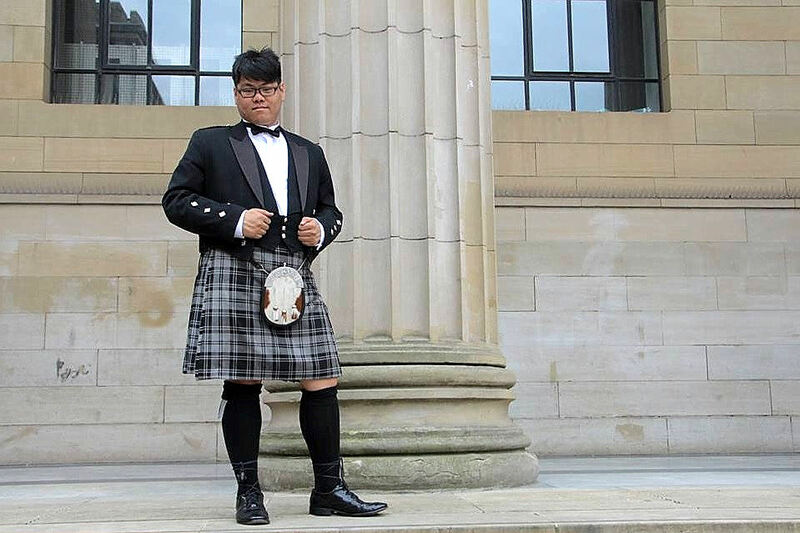 In a matter of months, he was offered a Year 3 entry in the 4-year program, and we followed up with his visa application and provided a pre-departure briefing to prepare him for his time in Scotland and the UK. Jun Jie graduated in July 2016 with first-class honours.